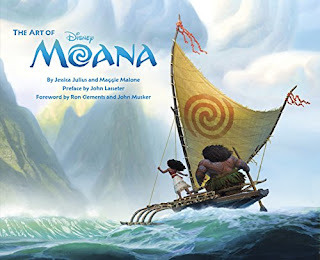 The Art of Moana has lots of great, from some well know artists. 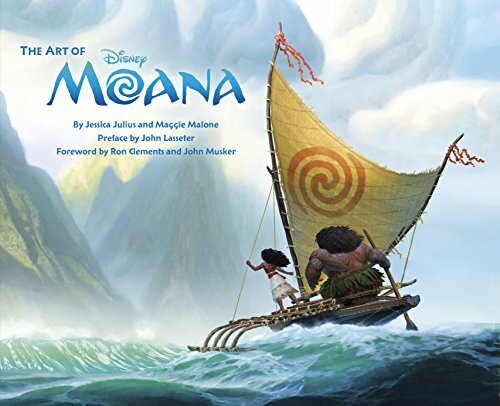 I really enjoy this book because it has lots of designs and expression sheets of most of the main characters. Out 0f the 160 pages there are a good 54 pages of hand drawn character designs from some of my favorite artists like Borja Montoro, Bill Schwab, Jin Kim, Bobby Pontillas, and many more. The rest of the pages have mostly layouts and pre-production artwork for the environment and props as well as a few pages of storyboards. Overall I am pretty happy with this book.